Join PBJ at a stories & yoga event to encourage an active interest in reading at a young age. Join Peanut Butter & Jellyfish instructors for early literacy in motion. 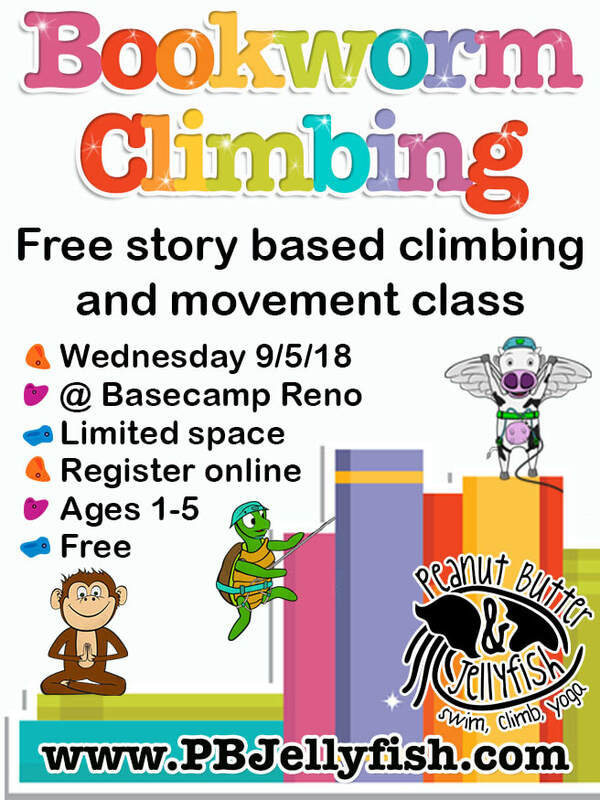 Story based climbing and movement classes for ages 1-5. No experience necessary. Your instructor will show you how to guide your little one. Younger classes will spend more time on soft-play equipment than vertical climbing walls. This event is free but pre-registration is required to reserve your space. Find out more about our Basecamp location and register online for Bookworm Climbing. Join Peanut Butter & Jellyfish instructors for literacy in motion. These family yoga classes bring storybooks to life while encouraging early meditation techniques and lots of fun movement. 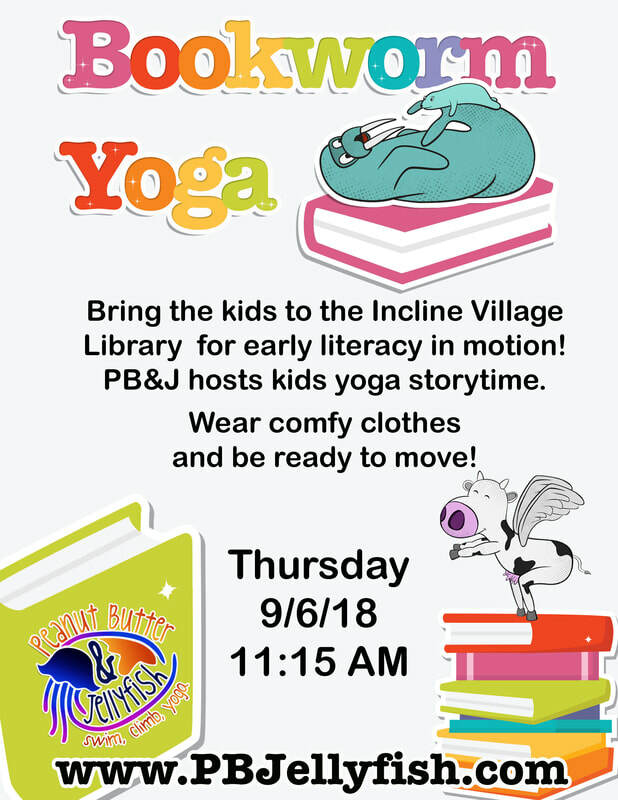 Miss Becca will guest host toddler time at the Incline Village Library! Put reading first, with 20 minutes a day spent reading or being read to this summer. Sign up the whole family - all ages can participate! Visit your favorite library for suggestions of great books to read yourself or to your young child. Reading lists, missions, and games earn extra points! Select a free book every two weeks!